On 11 October 1928, Graf Zeppelin began the first non-stop transatlantic passenger airship flight, leaving Friedrichshafen, Germany, and arriving at NAS Lakehurst, New Jersey, on 15 October after a flight of 111 hours and 44 minutes. The airship, commanded by Hugo Eckener, carried 40 crew members and 20 passengers. 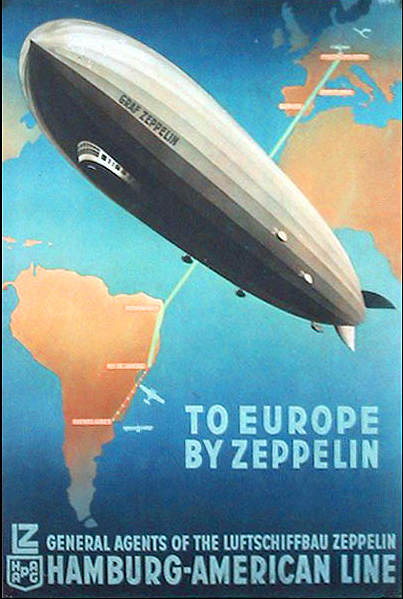 At the time some shipping lines, such as HAPAG, thought that airships could complement their liners on some routes (HAPAG even served as a ticket agent for Graf Zeppelin). Many shipping line executives, however, feared that fast, convenient and reliable airship transportation could pose a real threat to ocean liners in the years ahead. They needn’t have worried. 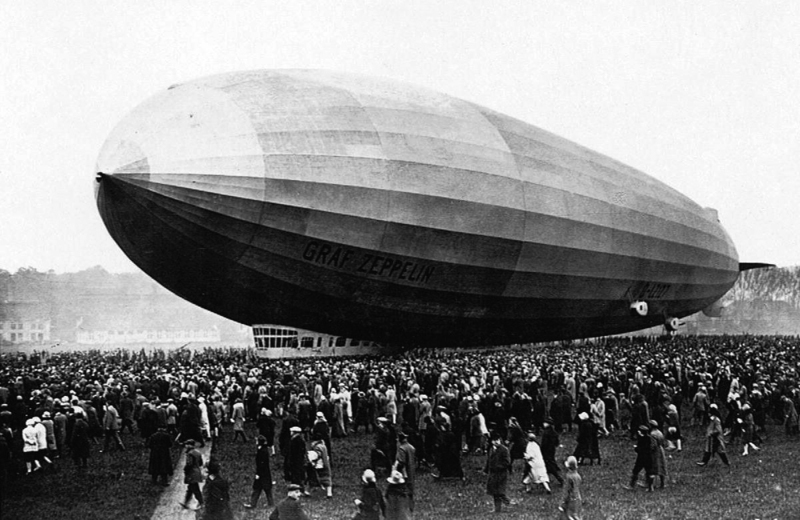 High ticket prices, cramped accommodations, problems coping with foul weather (which nearly caused Graf Zeppelin to crash near the end of her maiden voyage), a travel time only slightly faster than an express liner and a less than sterling safety record all eventually combined to doom intercontinental airship travel. Ocean liners were safe from aerial competitors, at least for a while.